Most people and experts would agree that food is probably one of the most crucial elements to any survival plan or emergency kit, and along with emergency water and shelter, food is indeed a focus when comprising the essential emergency supplies that will ensure your survival during a disaster situation. There are a variety of ways you can approach your survival food supply, and they can be customized to accommodate your dietary needs. There are options for long term food supply and storage, short term survival food kits, and special diet options such as gluten free emergency food. There are ready to eat food options and solutions that require food preparation. There are survival food kits for pets as well. Quality – we rate the quality of the emergency food products we recommend based on their taste, shelf life, the quality of ingredients and their nutritional value. Value – we rate how much value each product offers, or in other words, how many calories and how much nutrition you are getting per dollar. Ease of Use – we rate how hard or easy the product is to use. Some people are willing to endure a bit more preparation in order to save money, storage space or to just enjoy better tasting food. Others prefer a ready to eat option such as an MRE, food bar or food kit that requires minimum preperation. Below are some of the most commonly utilized emergency food categories. Each category will lead you to a page dedicated to providing additional information on that topic, as well as reviews for relevant products. One of the services we provide on this site is our emergency food company reviews. We have taken a close, hard look at the industry leading brands that specialize in providing emergency food solutions for disaster preparedness purposes. Often these types of services provide a comprehensive, all inclusive approach to survival planning and there are people who prefer to leave the challenges of emergency food planning to the experts. These companies also offer a la cart options for DIY preppers and for families who have a wider range of needs regarding dietary restrictions and requirements. Regardless of your approach, these food companies provide valuable services and products for creating your emergency food pantry. This category is for those of you who are interested in securing long term food supply and storage options for you and your loved ones. You will find meal packages that range from meeting your needs for a few months up to several years. There are also options for piecing together a long term food pantry over time to ease the burden of the financial investment for those with a smaller budget. Even if it takes a little bit of time to comprise a larger supply of food to sustain you over a longer period of time, it is well worth the effort and expense. Learn more about your long term food supply options. Some of you will be more interested in short term food supplies that are designed to get your through the immediate days following any type of disaster, allowing you to weather short term power outages, loss of resources and/or displacement. These kits are also often used on camping or multi day outdoor and wilderness excursions. There is a variety of options available ranging from 72 hour food supplies through to several months of food rations, all of which are considered to be short term food pantry supplies. 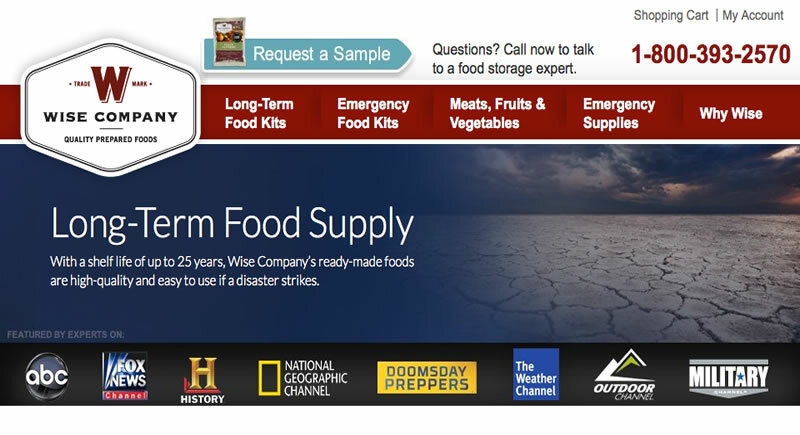 Learn more about your options for securing short term food supplies. MREs are ready to eat meals first used by the military. They are available in a variety of options and are prefect for those who are looking for portability and also don’t want to worry about food preparation in their survival plan. Many people also prefer MREs for multi-day outdoor excursions and wilderness adventures. Learn more about MRE emergency food options. While they might get old in a long term survival situation, emergency food bars can be tasty, packed with nutrients and calories, and are super easy to store and carry. If you secure enough flavor variety, they can easily satisfy as a long term solution. 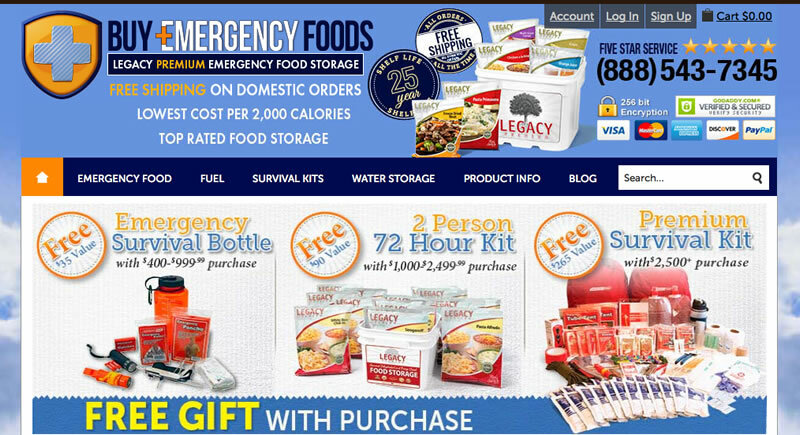 Many preppers consider pre-made food bars to be a preferred emergency food solution. Learn more about your options for emergency food bars. Reputable emergency food supply companies are now carefully considering dietary restrictions. Those of you suffering from sensitivity to gluten are able to obtain high quality food options that cater to your needs and that taste great. Careful planning will ensure that your nutritional restrictions are taken into account and met during an emergency or survival situation. Learn more about gluten free emergency food options. Learning to be self-sustainable through using survival heirloom seeds is a very wise idea should any type of catastrophic event occur that causes long term loss of food resources. There are a number of survival seed bank services and products available to support your efforts. The cost is typically more than reasonable and can be the key to your long term survival in certain situations. Learn more about using emergency survival seeds for food in your long term food planning. Our pets are an important part of our family, and they too must be considered when securing emergency food supplies and rations. They have specific caloric and dietary needs that must be met during any type of short term or long term survival scenario. Learn more about how to ensure your pet is well nourished during any type of emergency and that they are included in your disaster preparedness survival plan. Storing your emergency food and rations is a very important element in your survival plan. The longevity of your food supply is directly impacted by your storage choices. Some food supply companies have already taken care of this for you, others leave it up to you. 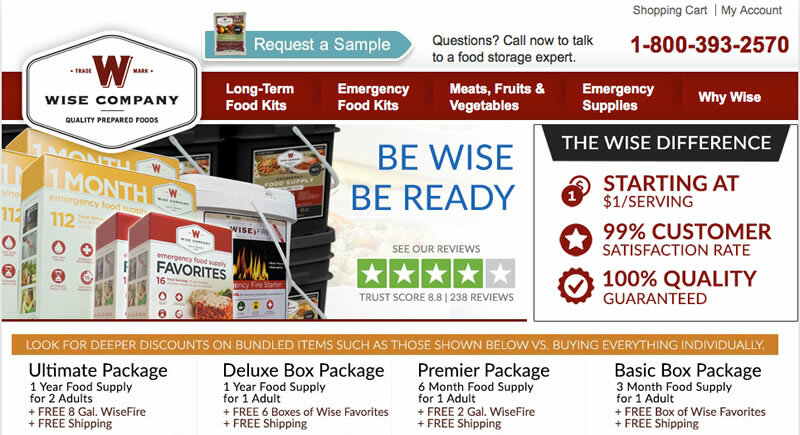 Learn more about emergency food storage options and the best way to ensure the longest possible life for your supplies. This section is dedicated to informational articles that provide you with data that supports your efforts in securing and using your emergency food supplies. These articles will span a variety of topics relevant to emergency food, and will provide insight, tips and resources for dedicated prepper.